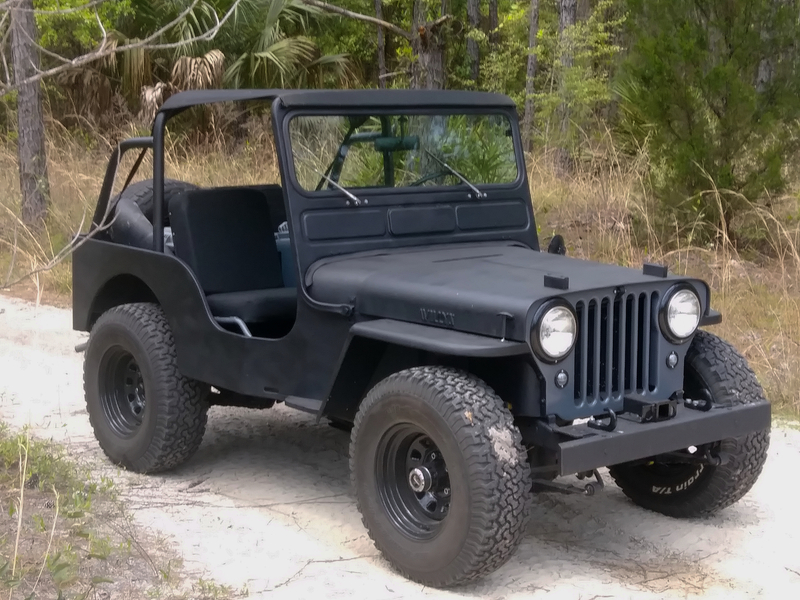 I had a 47 CJ2A in my twenty's blew the motor and sold it like a fool. 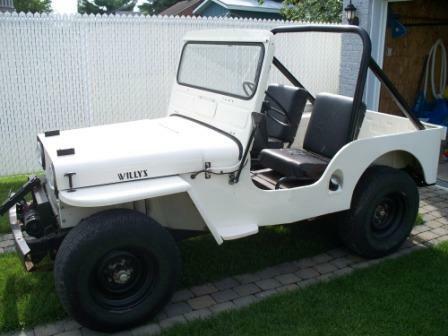 I always wanted another Willys so after many years I found a newer model, a 49 CJ 3A . It was completely rebuilt from the frame up by a guy over a few years, his heath declined and he had to sell it. By luck I got it. I only had to do a few miner things to it. The engine and running gear are all rebuilt but original, a new willys body. It is converted to 12v and has electric wipers and rear turn signals. Other than that it is stock. I could not be any happier than a pig in the mud. Hi Dana. Welcome. Show us you 3A. Good, jeeps down here are not as common as other states. People don't retire and bring them to Florida or they get chopped into making buggies. 1950 CJ3A complete except for top. 1950 CJ3A in process of being sold to a friend. 1946 Bantam T3-C trailer, 1946 Cushman Step Thru Scooter.